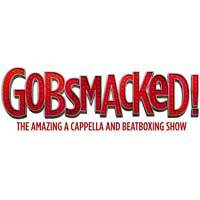 Broadway In Chicago and Nic Doodson, producer and creator of GOBSMACKED!, announced that the sensational, next-generation a cappella show, GOBSMACKED!, will play Broadway In Chicago's Broadway Playhouse at Water Tower Place (175 E. Chestnut) for a limited five-day engagement December 5 through 10, 2017. Critics in the UK call GOBSMACKED! "entertainment, not to be missed," (Broadway Baby) and "better than Glee...mesmerizing," (EdFest Magazine). Audiences will experience heart-stopping singing and jaw-dropping beatboxing in this latest break-out show that everyone is talking about -it's funny, joyful and uplifts the spirits of all ages! Though one of the oldest forms of music, a cappella singing has only recently broken through to mainstream popularity. Movies such as Pitch Perfect, TV shows such as Glee and groups like Pentatonix, Straight No Chaser and Naturally 7 have catapulted a cappella from street corners to stadiums. The producers of GOBSMACKED! have created a show for the whole family that takes the audience on a journey through music. GOBSMACKED! not only showcases modern a cappella at its best but also tells an urban tale of love, loss and redemption.